This peaceful neighborhood of cul-de-sacs is perfect for putting down roots. 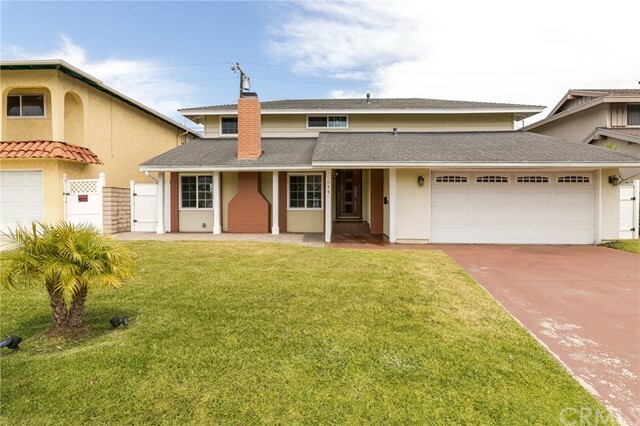 Ready for you to enjoy, this lovely home has been extensively remodeled. The grassy front yard is compete with a palm tree to welcome you home. An inviting front patio offers space to visit on sunny afternoons. Step through the entry & delight in the upgraded finishings, from the marble tile with mosaic detail to intricate wrought iron railings. The living room features rich wide-plank flooring, marble fireplace & vaulted ceiling with recessed lighting. Open to the kitchen which also flows to the dining room & out to the bonus sun room, this floorplan suits both grand entertaining as well as peaceful relaxing. Completely redone, the gourmet kitchen boasts stainless steel appliances, rich cabinetry with detailed millwork, neutral granite slab countertops including island seating, even pendant lighting. The generous sun room provides even more space, ideal for a family or play room as it leads to the grassy backyard, made incredibly private by the optimal elevation of the lot. This unique positioning also allows for sweeping la city & mountain views from both levels off the rear of the home. Back inside, a main floor bedroom & remodeled bathroom offer flexibility for guests. Ascend the staircase to the additional 4 bedrooms (1 wall removed) & 2 remodeled bathrooms. All this is close to award winning schools, alta vista park, wilderness park, shops, restaurants & the beach. 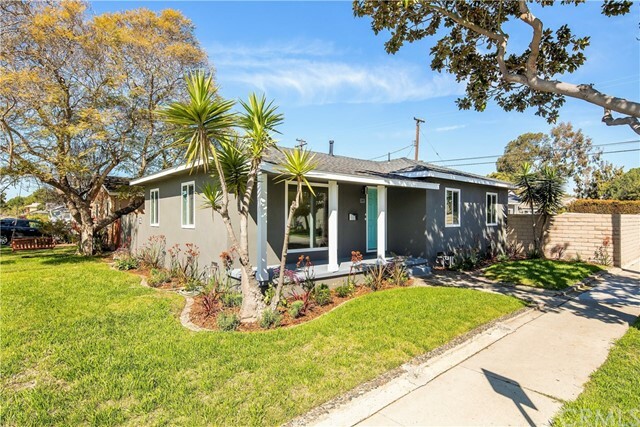 A charming 3 bed/2 bath single-family home located on the corner of a cul-de-sac in the desirable trw tract. Upon entering this home, notice the gleaming hardwoods throughout the living room & bedrooms. Pull up a stool to the island in the updated kitchen with its tiled floors, granite countertops & eating area. The backyard was made for entertaining-spacious, a wrap-around deck off the kitchen for ease of access plus mature trees & lovely landscaping. An added bonus is the shed, perfect for a she-shed or playhouse. All bedrooms are bright & airy, each with a ceiling fan & hardwood floors. The master bathroom features double sinks, a soaking tub & separate shower. An oversized two-car garage has extra storage with the cul-de-sac providing plenty of parking. This area is comprised of single-family homes, with no multi-family units. Most streets are wide with trees and sidewalks and redondo beach has great schools. Don't forget easy access to the wonderful local beaches, freeway, & lax. This full corner lot with private yard surrounds a beautiful turnkey fully renovated home with: tasteful wide plank wood flooring & bright led ceiling lighting throughout. This brand new kitchen has stainless steel appliances, quarts counter tops & self closing white wood panel cabinets and drawers with a classy stainless farm sink. The full bathroom is appointed with designer tile splashes & flooring, imported lav & sink with brushed nickel handsets and fixtures. In addition to the new custom kitchen and baths are new: floors, beach style white wood panel doors with brushed nickel handsets, mirrored closet sliders, dual pane windows, composition shingle roof, water heater, garage door and opener with a freshly pored hand striped cement driveway. You will love the stylish color selection. It is move in ready for your family! Award winning redondo union schools and a close knit neighborhood known for it's friendly nature and legendary 4th of july street parties. As of today, 4/22/2019 the average home price for homes for sale in Redondo Beach is $1,503,276.